We had a rather large box arrive this week full of goodies. Inside was everything we need for our Plasticine Softeez twitter party. Plasticine Softeez is a new range that is to be launched this Autumn/Winter from Flair. We love playing with Plasticine and love the fact that it does not dry out. My girls love to create cakes and dinner with plasticine and I often find plasticine cakes in the play microwave. Plasticine softeez is easier to model that original plasticine and this makes it perfect for younger hands. 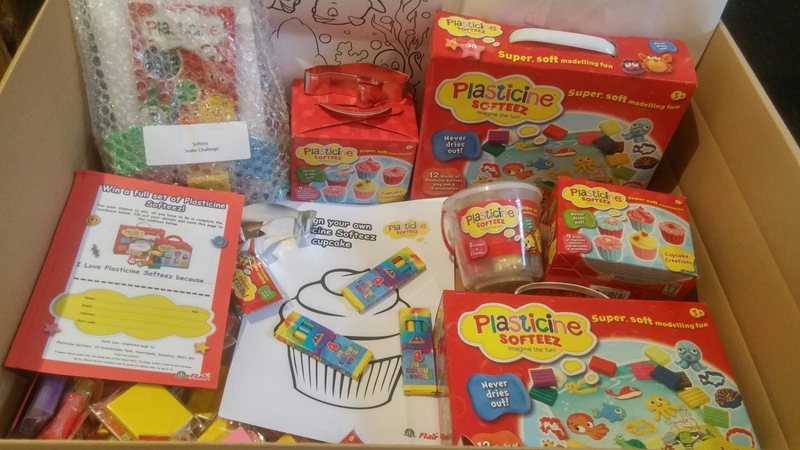 We are incredibly excited to be a part of the plasticine softeez twitter party and hope you can join us 5th August 2015 from 2-4pm. Look forward to tweeting with you then and joining in the activities.